Asus unveils Fonepad 7 and MeMOpad 8 for Rs. 10,999 and Rs. 19,999 in India. 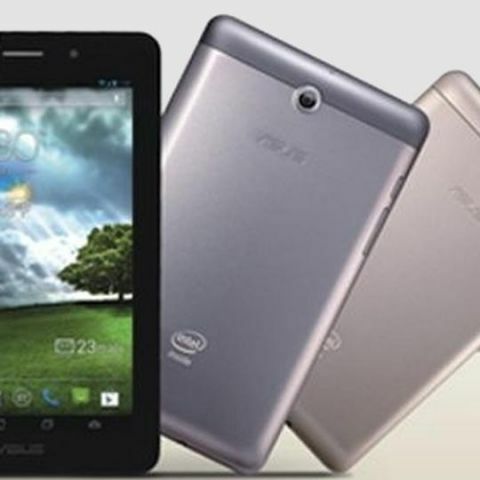 ASUS has announced latest variants of the Fonepad 7 and MeMOpad 8, backed with Intel core processor coupled with 2GB RAM. The tablets runs on Android 4.4 KitKat with ASUS Exclusive Zen UI on top. The ASUS Fonepad 7 – FE171CG and ASUS MeMO Pad 8 - ME581CL are available on Flipkart for Rs. 10,999 and Rs. 19,999 respectively. ASUS Fonepad 7 – FE171CG is a 7 inch tablet with 3G voice calling. The tablet has a 1.2 GHz dual core processor with 2GB RAM and 64 GB microSD expandable memory. It has an 8 MP rear camera and a 2MP front camera. Connectivity options included are dual SIM with dual standby functionality, 3G, G-sensor and microUSB support. The latest AsusPad Fonepad 7 is available in two black and white colors. ASUS MeMO Pad 8 - ME581CL has an 8-inch Full HD display with 1920 x 1200 resolution and 178-degree viewing angle. The tablet comes with Gorilla Glass protection and supports pen function. It packs an Intel quad core processor with 2 GB RAM. Connectivity options included are LTE support, 3G, WiFi, NFC, Bluetooth and USB. It has an 8MP rear camera and a 1.2 MP front camera. The tablet is available in white, pink and blue colors.